Obituary - Betty Cooper Pearle - Bentz Funeral Service, Inc.
Temple Emanu-El, or Lutheran Home Foundation, 108 Utica Rd., Clinton NY 13323, designated to the Gordon Unit. Betty Deborah Cooper Pearle, of New Hartford (NY) passed away on December 31, 2018 with family at her bedside. Born on November 10, 1937, the daughter of Maurice D. Cooper and Lena Gorin Cooper, she grew up in Newton (MA). Betty attended Radcliffe College and the Harvard Graduate School of Education, and in 1959 she married Philip Pearle. She taught first grade in Lincoln (MA) for three years and then retired to become a full-time mother. Betty and family moved from the Boston area to Shaker Heights (OH) in 1966 and then New Hartford in 1969. She cherished the over five years spent traveling on Phil's professional leaves, in Geneva, Oxford, Cambridge, Durham, Trieste, Jerusalem, where she established households, made friends and studied languages, enabling travel everywhere. She enjoyed hiking abroad but especially in the Adirondacks and Acadia National Park. At home she became involved in Temple Emanu-El Sisterhood and took part in local and national politics. 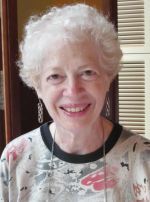 She was a lifelong learner and studied piano, voice, dance, calligraphy, math (so that she could tutor children, whom she also tutored in English), art history (before becoming a docent at the Munson Williams Proctor Art Institute) and was an enthusiastic member of the Utica Public Library's book group. Betty never forgot her Massachusetts roots and was a proud member of Red Sox Nation, as well as a Boston Celtics and Patriots fan. Betty is survived by husband Phil, daughter Laura and husband Michael, daughter Wendy and husband Alan, grandchildren Jessa and Ashton, brother Paul and wife Carol, sister-in-law Alice, wife of deceased brother Robert, as well as numerous beloved cousins, nieces and nephews. A memorial service will be held at Temple Emanu-El, 2710 Genesee Street, Utica on Tuesday, January 8 at 10:30am, with Rabbi Peter Schaktman and Rabbi Henry Bamberger officiating. Visitation will be held prior to the service, at the Temple, at 9:30am. Shiva will be observed on Tuesday and Wednesday from 4:00-7:30pm at the family home, 15 Woodberry Road, New Hartford, NY. In lieu of flowers, kindly consider Temple Emanu-El, or Lutheran Home Foundation, 108 Utica Rd., Clinton NY 13323, designated to the Gordon Unit. Arrangements are with Bentz Funeral Service, Inc., New Hartford.